Frigg’s Mercantile hosts workshops on the basics of canning, fermentation, and food preservation, and offers ongoing opportunities to make your own bath and beauty products. The studio is available for kids’ birthday parties and corporate events, which make for a fun way to get a group together to explore a new craft. They also offer drop-in Mini-Camps, where kids 7+ can learn to make their own soap, lip balms, lotions and more! Check out their online calendar to see the line-up for upcoming workshops; something new is happening each week. Stop by to gather supplies for your next project! In addition to traditional cheesemaking equipment, Frigg’s also carries dairy-free options to bring the joys of cheesemaking to those with dietary restrictions. Soap-makers can find molds, oils, butter, colorants, fragrances and other additives. Fermentation options include airlocks, pickle pebbles, and a wide selection of starter cultures. 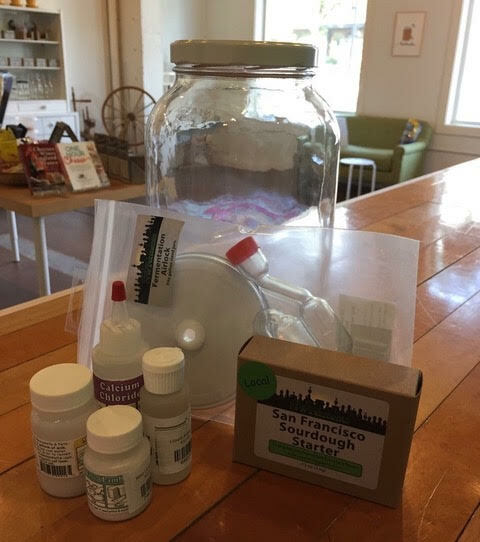 Frigg’s also has a variety of beginner DIY kits to get started in cheesemaking, cosmetics, fermentation, and candle-making. Whatever your next adventure may be, make it from scratch at Frigg’s!